Passive House Days this Weekend! 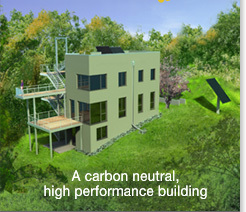 Join us during the 7th international Passive House Days on Friday through Sunday. We will open the house for public viewing from 10 am to 4 pm each day. Gary Konkol (owner) and Tim Eian (TE Studio) will be on site to answer your questions and demonstrate how the home functions with every day use. We look forward to seeing you in Hudson. On a related note, Eco Home Magazine just published an article on the Passive House Alliance in which this project is mentioned as well. Posted in Announcement, Event, Publicity | Comments Off on Passive House Days this Weekend!